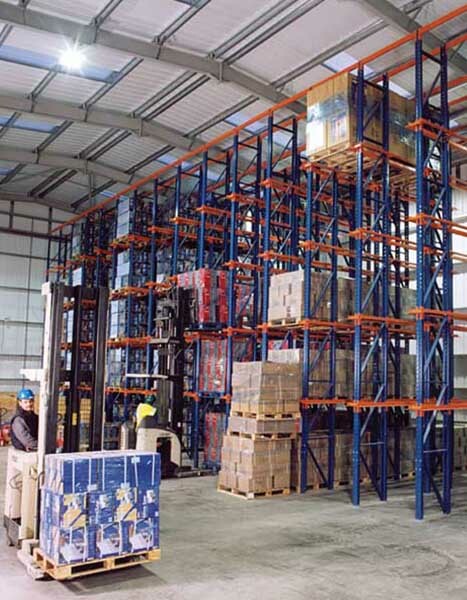 Double deep pallet racking systems are ideal for industrial use. This type of pallet racking used the same principles as wide aisle pallet racking just although pallets to be stacked at each pick face.Double Deep Pallet Racking stores 2 pallets deep or 4 pallets deep between aisles. 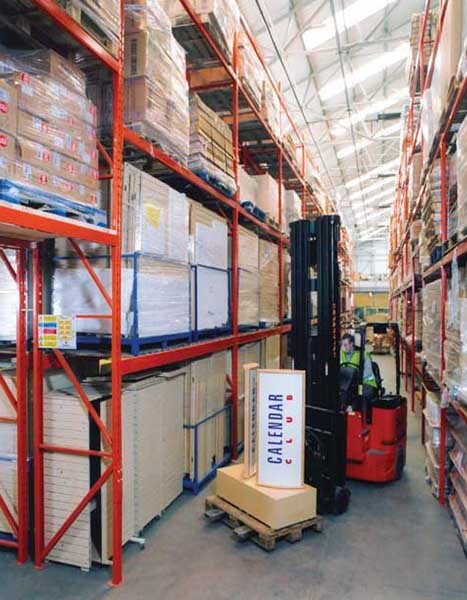 It delivers increased storage density when compared to Wide Aisle and requires specialised fork lift trucks. 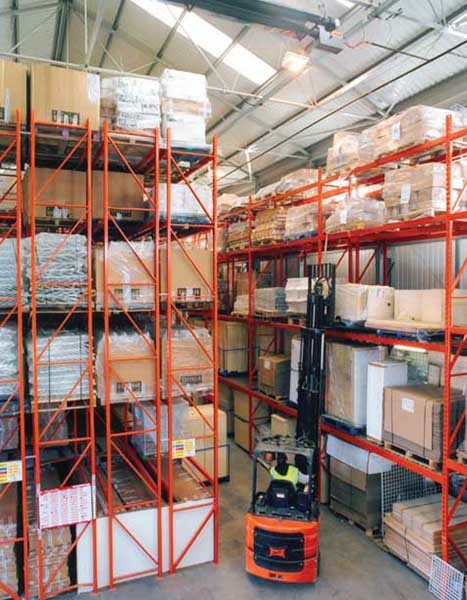 Double Deep Racking utilises one row of standard Pallet Racking behind another. Using an extended reach lift truck, the operator places the back pallet into the system first, then places another pallet in front of it. 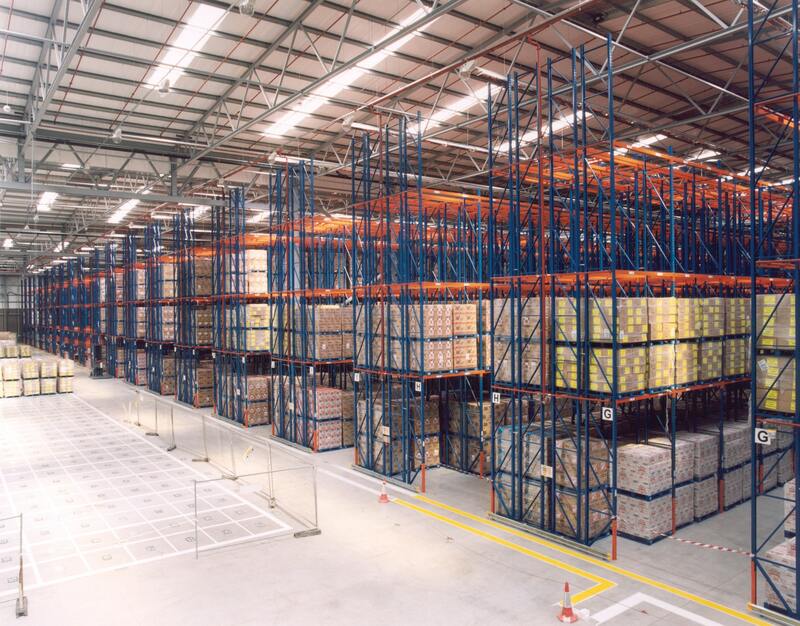 Reduction in the number of aisles in this type of racking by storing pallets two or more deep allows for more industrial racking to be put in place, optimising the size and efficiency of the storage solution. 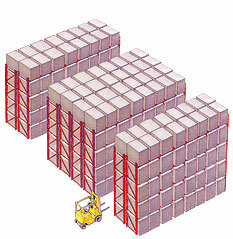 Selectivity is reduced by 50% over standard pallet rack, but 30% more pallets are stored for a given number of aisles. This increases productive use of floor space over a Wide Aisle system, offering a similar level of utilisation as Narrow Aisle. Double Deep Racking offers low initial cost, high productivity, and reasonably good selectivity.